The Utah State Legislature kicked off the 2013 session earlier this week. The Provo City Council is actively monitoring proposed legislation and is working with various legislators during this year’s legislative session. Members of the Council met with several legislators yesterday at a lunch sponsored by the Utah League of Cities and Towns (ULCT). 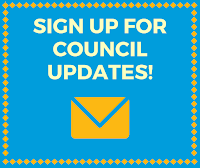 The Council works together with the ULCT and the Mayor’s office to advocate increased control over local government and other issues that may affect Provo. Several key issues the Council is watching this year include a proposed bill affecting the iProvo utility fee, a change in towing regulations, and Provo's long-established water rights. A summary of these key issues and related bills is included below. This bill amends provisions related to a rate charged by a municipality for cable television or public telecommunication service. This bill makes changes to the procedure for a general adjudication of water rights under Title 73, Water and Irrigation. 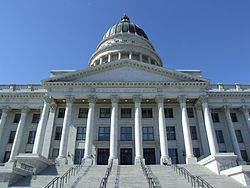 You can find your legislator’s contact information and follow what’s happening at the Legislature at www.le.utah.gov. For a complete list of other bills ULCT is following you can visit their tracking page by clicking here.